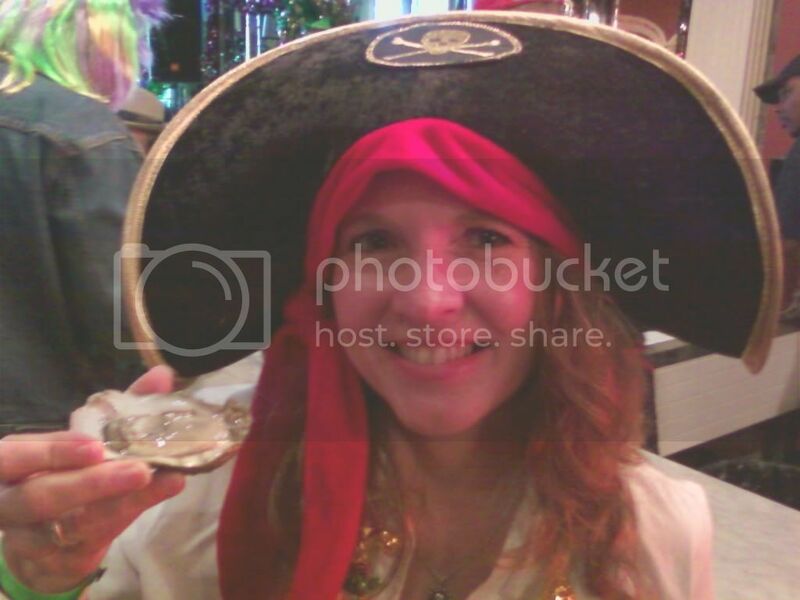 Pickled Pirate! 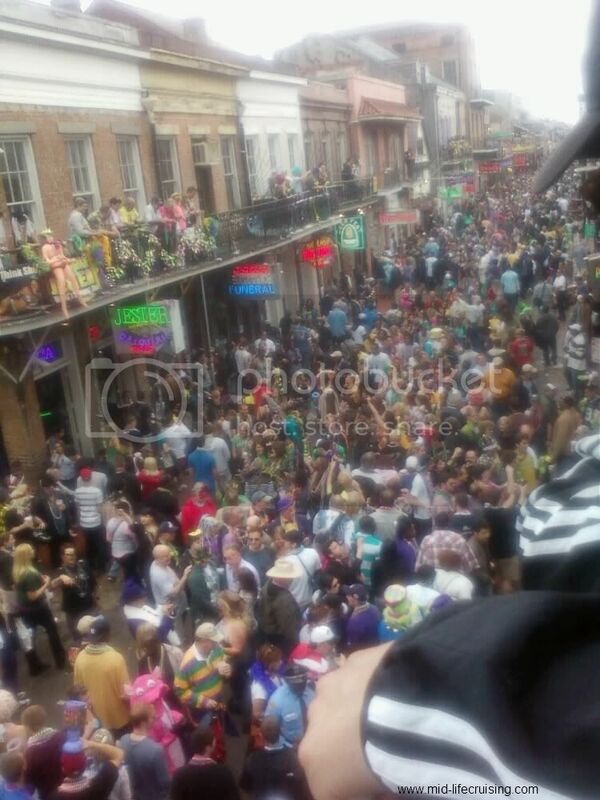 : New Orleans Mardi Gras! 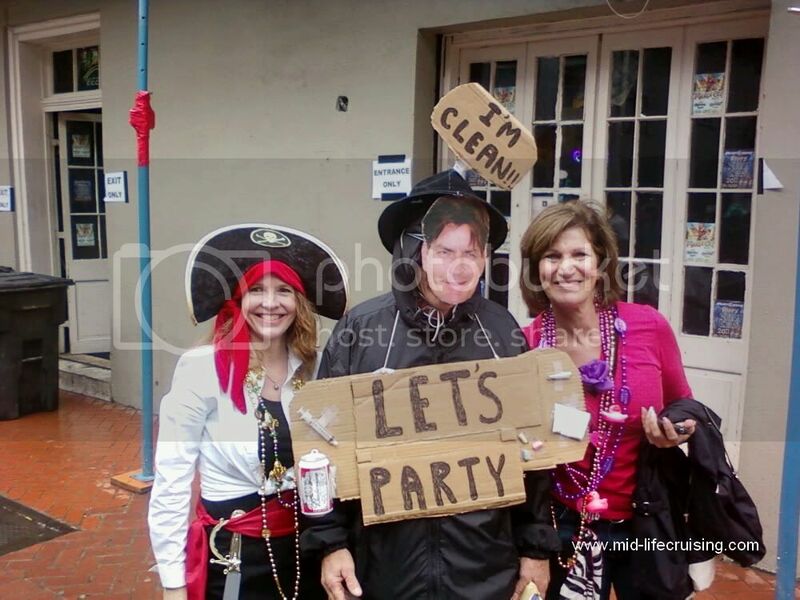 While New Orleans isn't a tropical "wet spot", it is home to the world's largest free party ... Mardi Gras! So, I couldn't miss the opportunity to head towards the New Orleans French Quarter for a few days of partying and gettin' pickled! 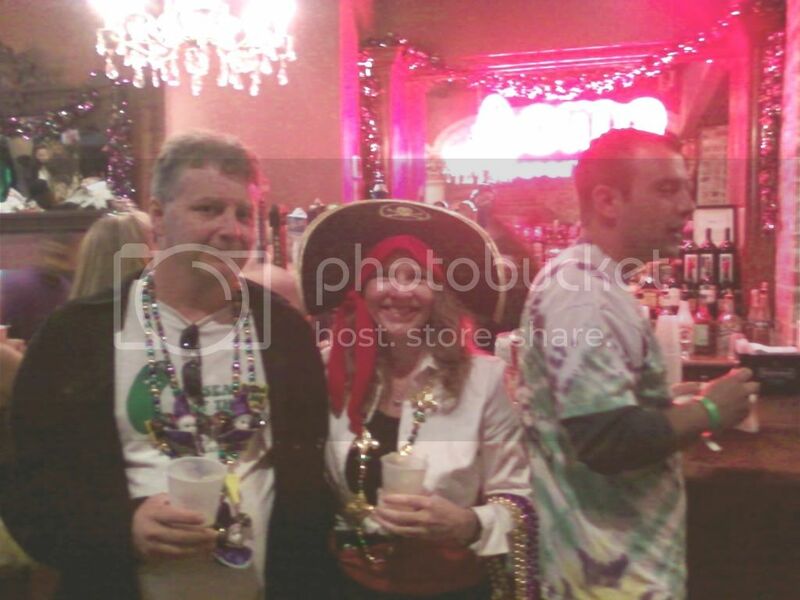 We started off Fat Tuesday with a private party at the Acme Oyster House. Free booze and free New Awlin's seafood, what could be better! Me and my crew then headed out with a drink and started walking the streets and checking out the sights. 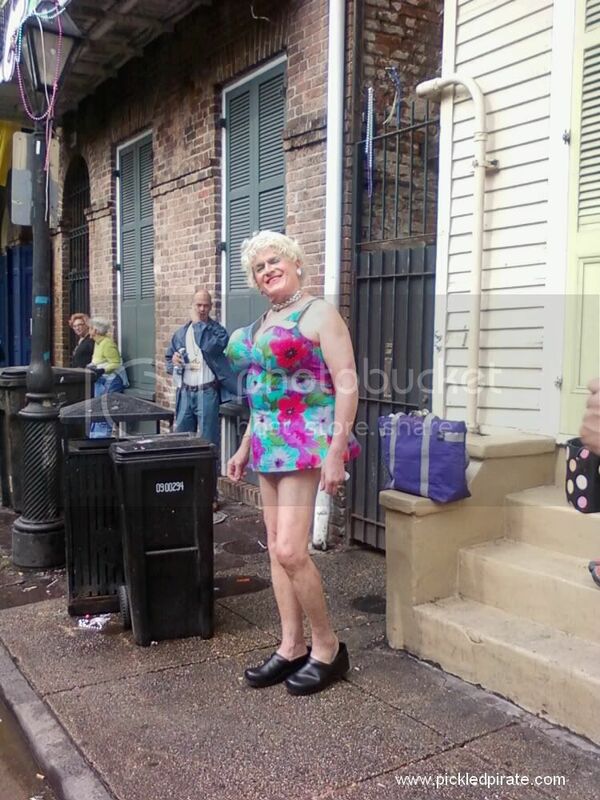 New Orleans is one of the few places where you can walk around with an open container of alcohol. This really makes for a lot of fun, as we were able to walk in and out of bars (with drink in hand) and not have to worry about staying to finish our drinks. We'd listen to some awesome music then move on whenever we felt like it. When our cups were empty, it was to the Royal Sonesta for another private party to refill our drinks. Needless to say, we visited this party pretty often! Not only was it a great place to refill our drinks, but there was also free food and a balcony to throw beads to the onlookers below. It's true that the girls (and guys) will do just about anything for a pair of 50 cent beads! 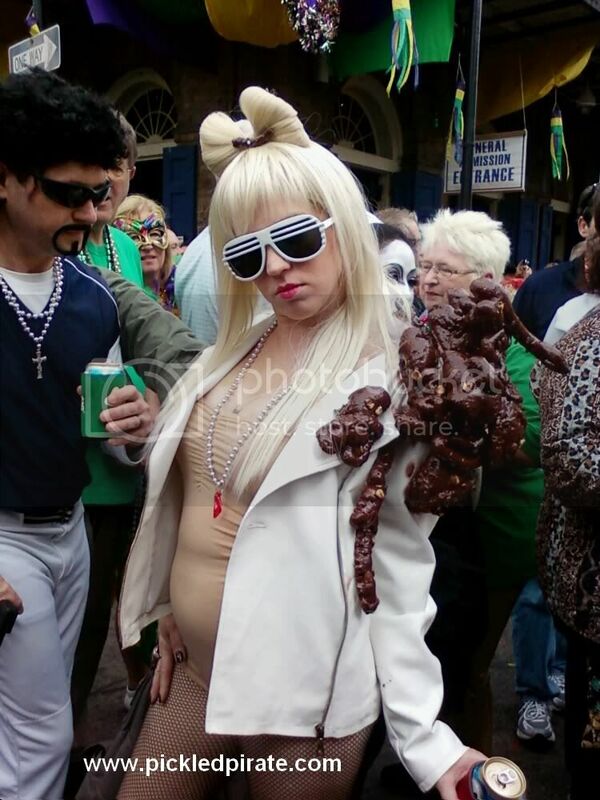 We even partied with Charlie Sheen and saw Lady Gaga with her sh@*! We saw a bunch of great costumes, some really exquisite and others just plain wacky! We even witnessed some love "birds" gettin' hitched at one of our favorite wet spots, the Funky Pirate! 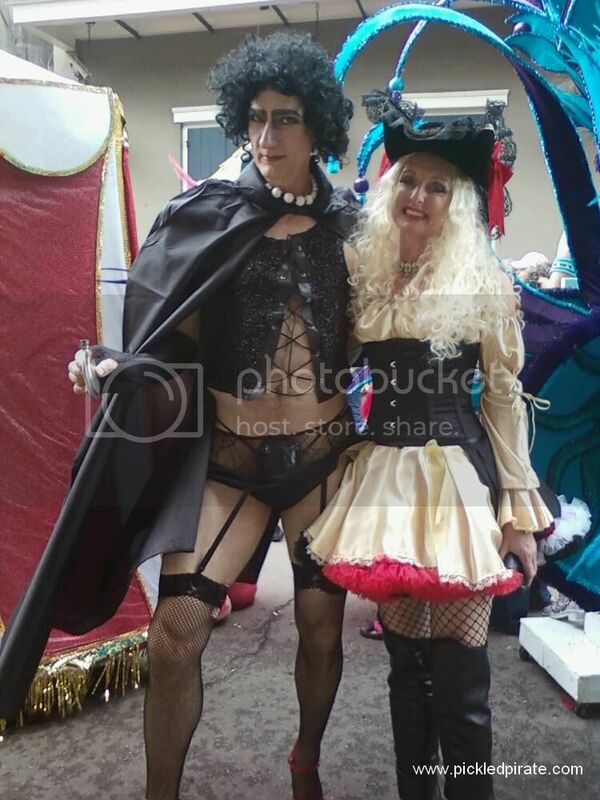 We made our way into the gay section of the French Quarter, where some of the best costumes are to be found! We have a bunch of "adult" pictures that we don't think we can even post here! There's a lot more pictures on my Facebook page, so go over there and check them out! You might even "LIKE" the page too! So now, several days later, I'm back at home and finally drying out. I had such a great time in New Orleans that I'm planning on going back at the end of the month for NOLA Pyrate Week, where I'll be one of the few selected vendors, selling my t-shirts! 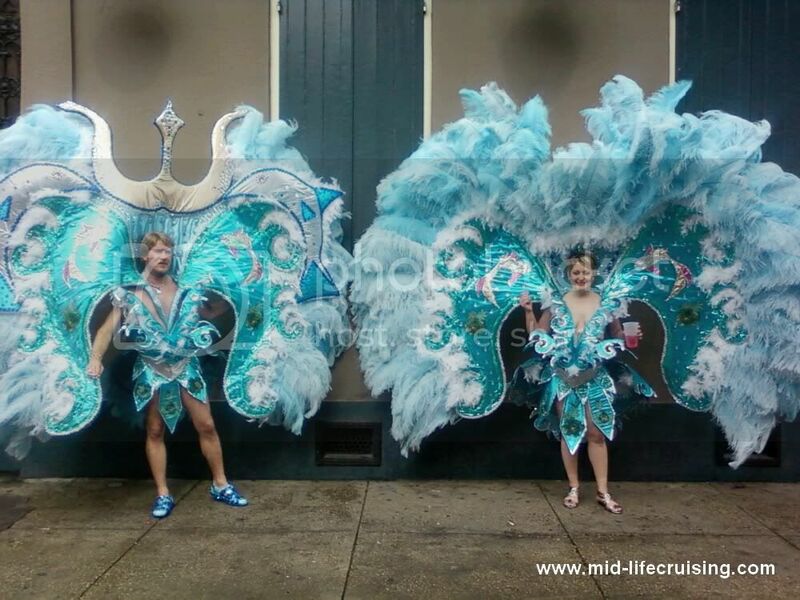 By the way, you'll notice that some of these pics say www.mid-lifecruising.com . I may be a pirate but don't worry, I didn't steal these. That's my other site about sailing.